The superior safety material. 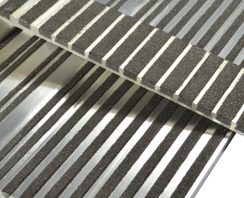 This exceptionally strong surface provides the utmost safety for outdoor applications. 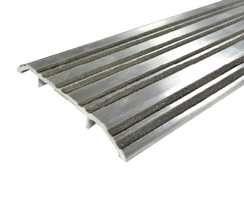 It is best used in parks, schools, hospitals, industrial buildings. 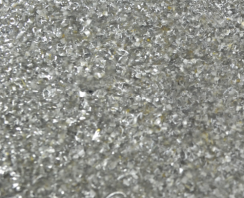 The epoxy abrasive particle mix is bonded to the aluminum base. 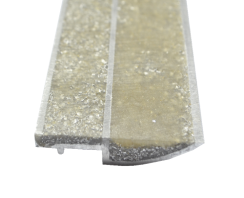 Thresholds can be ordered with non-slip epoxy abrasive particles bonded into the grooves. 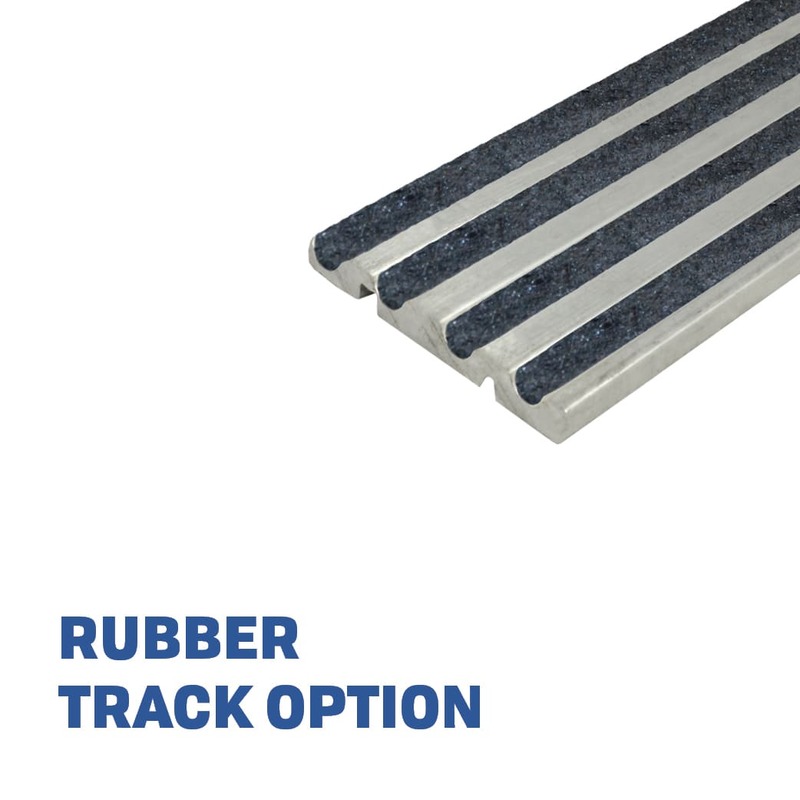 The tread provides a coefficient of friction of 1.02 dry and 0.98 wet to comply with ADA, OSHA and most local building code requirements. To order – SPECIFY EPX after the item number. 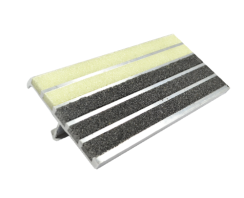 PEA is an abrasive traction infused with epoxy abrasive photoluminescent tread. 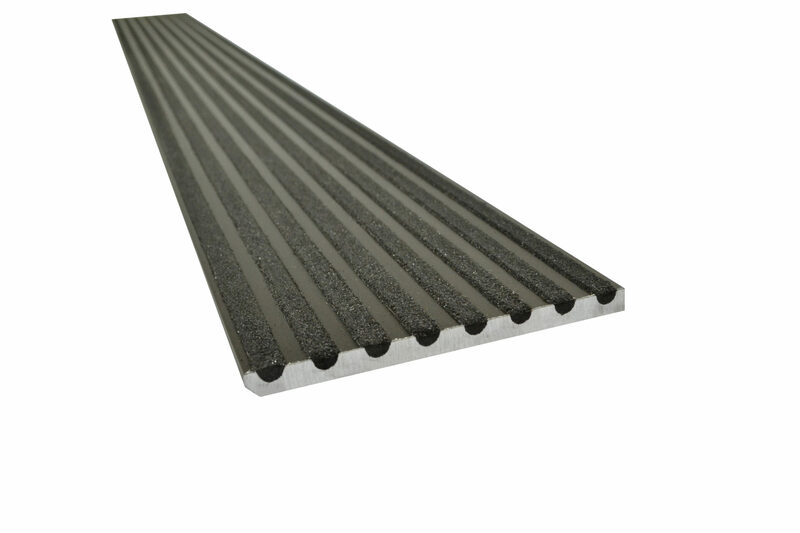 Commonly used on indoor applications on staircases. 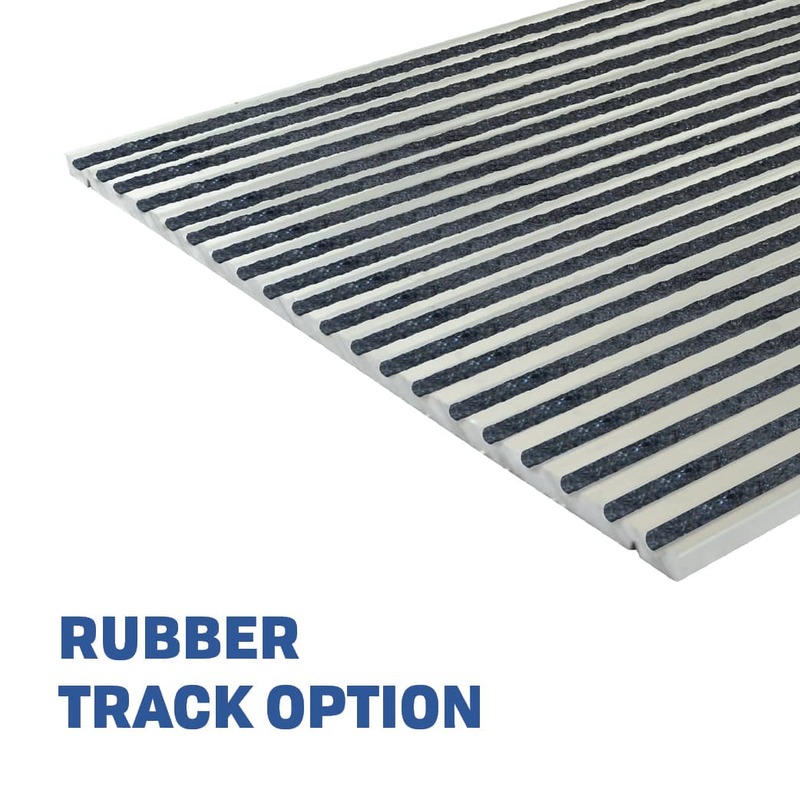 We provide non-slip stair nosings that follow New York City Standard RS 6-1/1a and other building code standards for photoluminescent exit path markings. 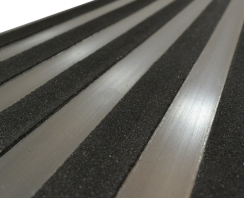 Profiled grooves with rubber or epoxy inserts provide durable, attractive surfaces that do not collect dirt or water. 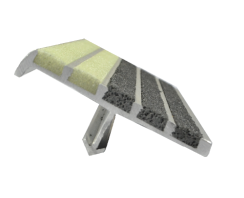 The 1.25-inch wide photoluminescent tread is integrated into the outer three grooves along stair edges. 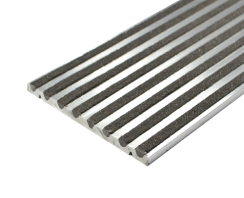 Available in standard aluminum finish, Traction Tread nosings are designed for easy cutting and drilling on site. To order – SPECIFY PEA after the item number. Looking for full body strength? 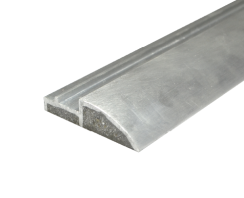 Our Aluminum Compostie Filler (ACF) contains aluminum oxide and silicone carbide. cafeterias, automobile dealers, hospitals, and industrial facilities. To order – SPECIFY ACF after the item number. 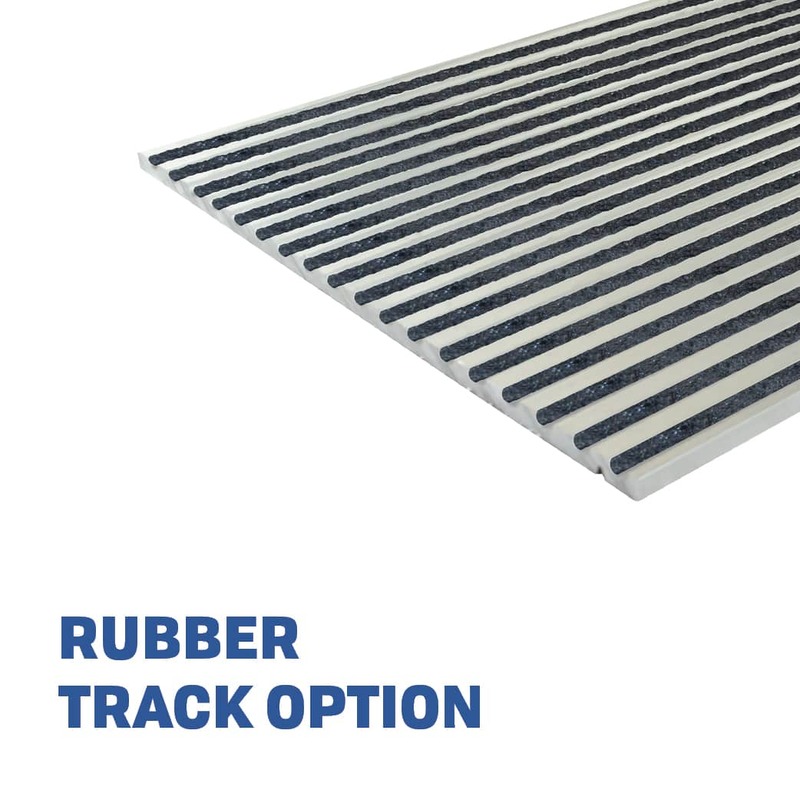 Rubber Track – This product includes a blend of recycled synthetic rubber, natural rubber, fabric and wire, along with carbon black and other chemical compounds. 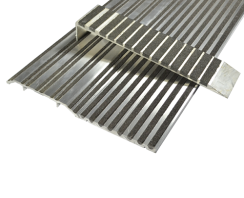 They consist of a tread and a body that is bonded and locked into the aluminum tread base. To order – SPECIFY RUB after the item number. 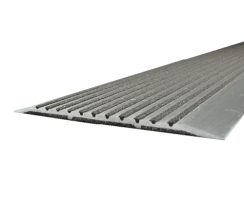 We have the unique experience and ability to work with custom fabricators to supply virtually any configuration of gasketing for special projects.